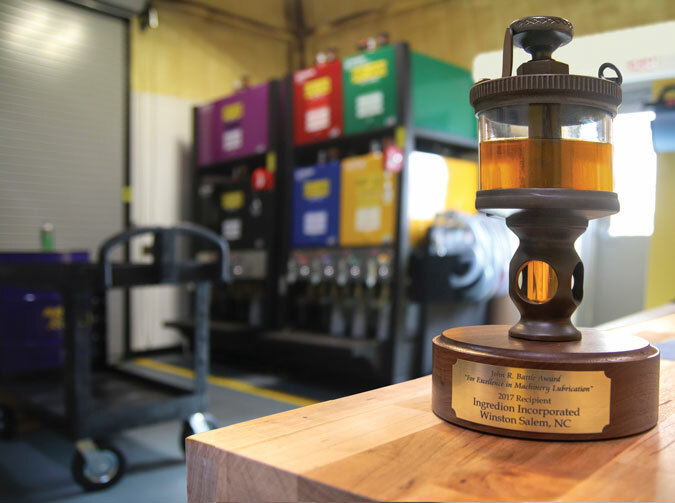 As the recipient of the International Council for Machinery Lubrication’s 2017 John R. Battle Award, Ingredion (Winston-Salem) underwent a complete transformation in its lubricant storage and handling practices, resulting in the company creating a world-class lubrication program. 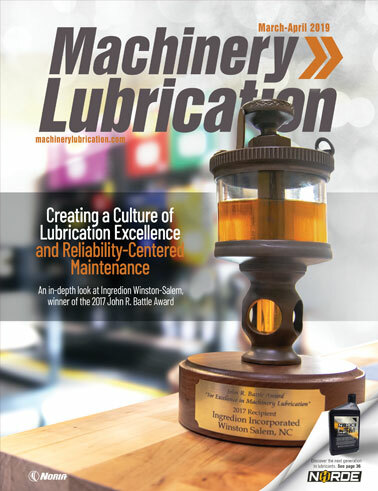 Following is the story of the Winston-Salem facility and its journey to creating a culture of lubrication excellence and reliability-centered maintenance. Nestled in the hills of North Carolina, the Ingredion facility in Winston-Salem was built in 1981 and produces starch and syrups from corn. 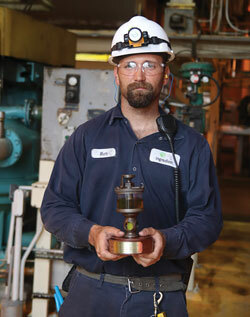 The plant employs approximately 100 full-time Ingredion employees and contractors. A unique feature of the facility is its use of self-directed work groups, which empowers the employees to do what is necessary to make the plant run. 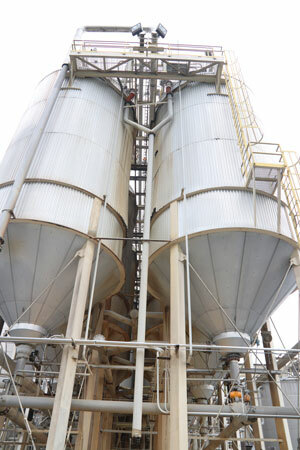 The Winston-Salem facility’s journey began in January 2009 with a lubrication program assessment by Noria. After the findings of the initial assessment, Ingredion learned a great deal about how to make lubrication process improvements. Utilizing the Winston-Salem facility’s unique usage of self-directed work groups, Warwick, a 28-year veteran of Ingredion and champion of the facility’s transformation, decided to lead the charge for change and actively sought out opportunities to help facilitate and improve reliability at the plant. 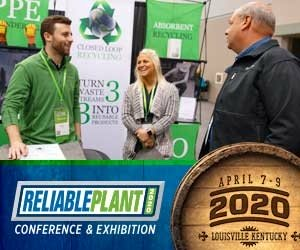 He started attending the Reliable Plant Conference & Exhibition, obtaining information and ideas for implementation at Winston-Salem. The facility took information from the initial assessment and findings and began building and upgrading its lubricants storage room with a bulk filtration system. The plant also bought a thermal camera and ultrasonic grease guns. Prior to the shift, when there was a problem with a machine, it was relayed over the radios, but the maintenance department was not always the first responders on the scene to investigate the issue. 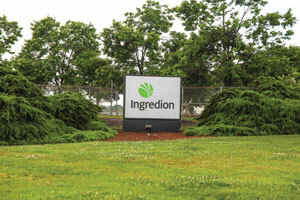 A few years after the facility’s initial assessment, Ingredion had several international plants adopt lubrication best practices with exceptional results. These initial successes, in addition to influence from other Ingredion plants and reliability champions, led to corporate leadership setting a strategy for lubrication and improved asset management at nine North American plants. Mohn, who has been with Ingredion for almost two years, believes his arrival at the facility came at the perfect time. With corporate backing, the Winston-Salem facility had Noria conduct another assessment in 2016. According to Mohn, the plant, including Ingredion employees and contractors, underwent an effort to change the culture through outside training, standardizing processes, knowledge-sharing and hands-on applications to promote reliability excellence. Working with Noria, the facility implemented a rigorous training program for both employees and contractors, resulting in five certifications in planning and scheduling; two employees becoming certified in vibration and infrared analysis; inception of a Certified Maintenance and Reliability Professional (CMRP) program; the creation of a reliability engineer position; redefining and hiring a new planner/scheduling position; and promoting Matt King, mechanical maintenance lead, into a leadership role to continue driving lubrication excellence. The facility ported the engineering to special software for effective route management and key performance indicator (KPI) tracking. Noria’s engineering also identified machines that needed modification and associated hardware. 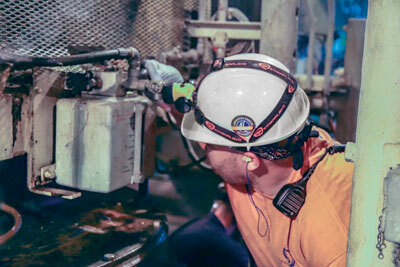 When the Winston-Salem facility had a scheduled outage in November 2017, it contracted Noria to send a team to help manage 14 pipefitters for three weeks. Utilizing Noria’s training, the plant trained its team on how to commission the lube room and make machine hardware modifications, which the Winston-Salem crew undertook by outfitting dozens of machines themselves. In regard to training, Warwick completely agrees. With all of these changes in place, the Winston-Salem facility has begun seeing differences in many aspects of the plant. The facility is now in a transitional phase, moving from reactive to more predictive and planned work. For Warwick, his daily work life has become more structured. The facility is also starting to see a time savings as well. In addition to focusing on lubrication excellence, a bonus of the journey has been the awareness sparked in the facility. A 24-hour surveillance system was installed in the lube room due to its contents. Surveillance footage showed that a lot of people were going into the lube room just to see it. From that point, the curiosity grew into more awareness of the lubrication program and its importance for the facility. In fact, the team has noticed an increase in the work orders stemming from operator awareness. The machine modifications have also led to increased awareness from operators. 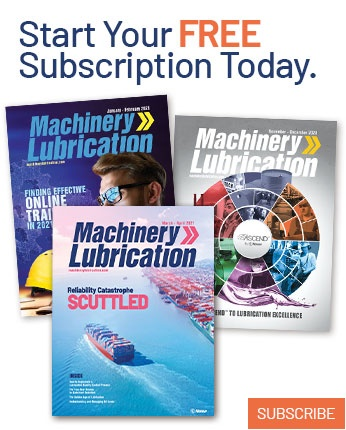 Mohn believes one of the main factors in the increased awareness was the company-wide communication during the lubrication program’s transformation and Noria’s involvement, particularly onsite. In addition to using a town-hall format as a way to communicate the objectives to accomplish, Mohn also went to individual shifts and began talking to people on that level. Next year the facility will be moving to more of a lean mentality, which should couple well with what is being required of operators in terms of reliability. 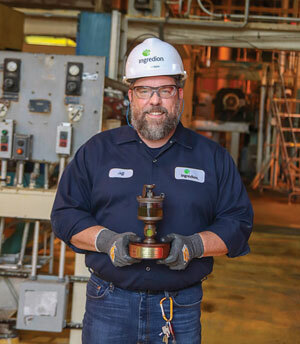 While the day-to-day changes at the plant became visible to everyone at the facility, the importance – and excitement – behind the transformation became more palpable after receiving notification that Ingredion Winston-Salem had won the 2017 John R. Battle Award for excellence in the application of machinery lubrication. The Winston-Salem facility’s relationship with Noria has evolved since 2009, and the team realizes that a vital key to the plant’s success stems from working with Noria. Warwick, who has the longest relationship with Noria, echoes King’s sentiments. Mohn agrees that working with Noria made a significant difference, particularly when it comes to relationship-building. Mohn also cites the level of customer service he has received from Noria as a benefit to creating that lasting relationship. As the Winston-Salem facility continues its pursuit of lubrication excellence and reliability-centered maintenance, the team is focused on what the future holds. For King, his goals include additional training and sampling. For Mohn, all of the current changes will lead to the Winston-Salem facility having a more self-sustaining existence. Mohn also would like to take the successful elements from the lube room and move them into the plant’s maintenance infrastructure. “It’s really good linkage to how it’s all supposed to work with the right things in the right place, and moving that deeper into the maintenance organization,” he added.